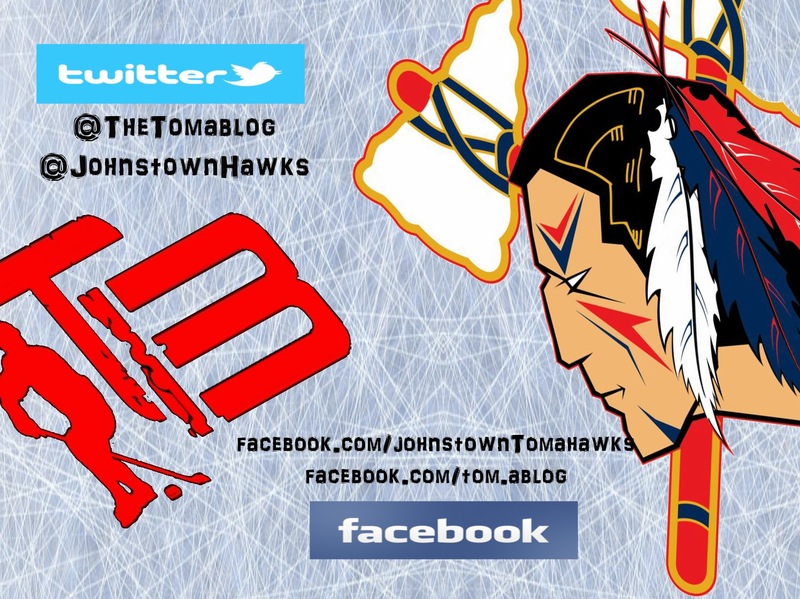 After getting swept last weekend vs. the Springfield Jr Blues, the Johnstown Tomahawks are looking to put together a better effort in Port Huron. Last season Johnstown couldn't beat Port Huron, but have had better luck this year. 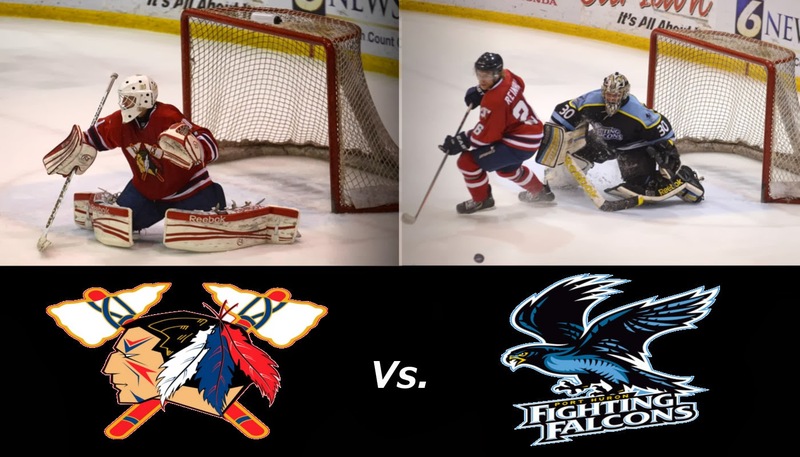 This is the last weekend on this latest road trip before Johnstown comes back home to face the Michigan Warriors. Port Huron sits in first place of the North division with a record 22-8-7, good for 51 points. At home this season, the Fighting Falcons have a record of 11-3-3. Johnstown currently sits in second place in the North division with a record of 21-16-2, good for 44 points. On the road this season, the Tomahawks have a record of 9-10-1. Shane Cuckovich who's been out of the line up since Janurary 5th could possibly come back into the Tomahawks lineup this weekend. Alex Jaeckle is still on the injury shelf and won't be back in the lineup for at least another 3-4 weeks. Both players are recovering from upper body injuries, and the Tomahawks' staff want to make sure they are both 100% before they get placed back into the lineup. Port Huron is 7 for 40 on the power play this season vs. Johnstown. Johnstown is 4 for 26 on the power play this season vs. Port Huron. This weekend Shane Bednard was given an Honorable Mention as one of the Top NAHL North Division Stars of the Week. In two games last weekend, Bednard had 5 points (1 goals, 4 assists). He was also a plus 4. 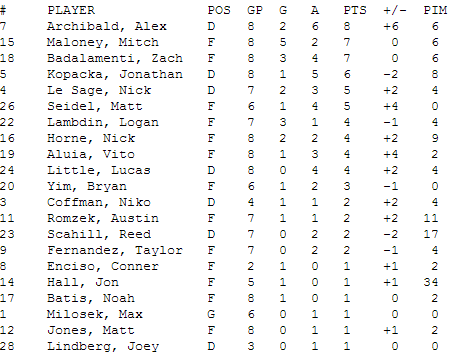 The top star of the North Division last week was Soo Eagles' Sandis Zolmanis. In two games he had 3 points (3 goals). He was also an even rating. This week former Johnstown Tomahawks' goaltender was named the Atlantic Hockey Association Rookie of the Week, helping Air Force to sweep Army. 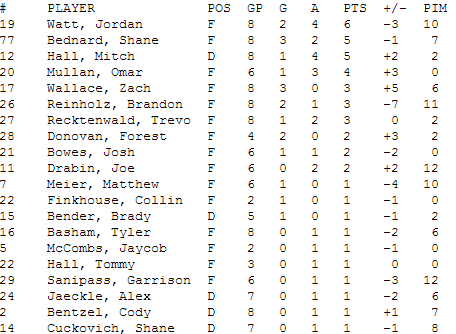 Truehl only allowed three goals in two games. Here's the link to the full story and other college award winners.